Melissa Etheridge celebrated her third decade in music with a tour that began in the spring and stretched through the summer of 2017. 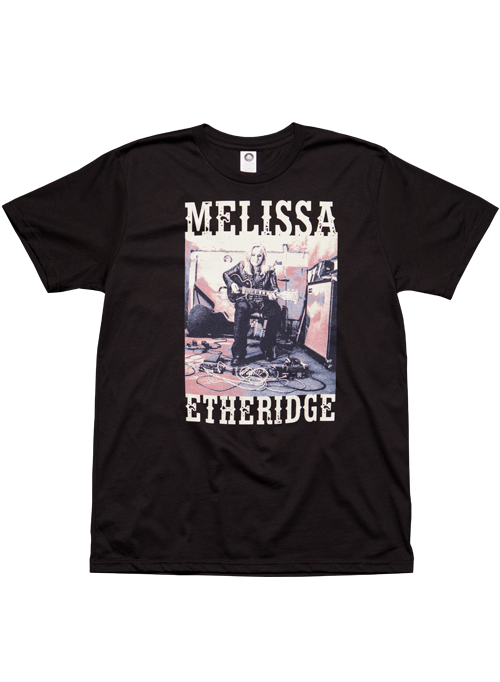 Get this classic souvenir from the Melissa Etheridge Memphis Blues Tour featuring a portrait of Ms. Etheridge in the studio. The tour itinerary is printed on the back of this black cotton short sleeved tee.